Today is the start of a four-day weekend for the Songkhran holiday (aka Thai New Year). 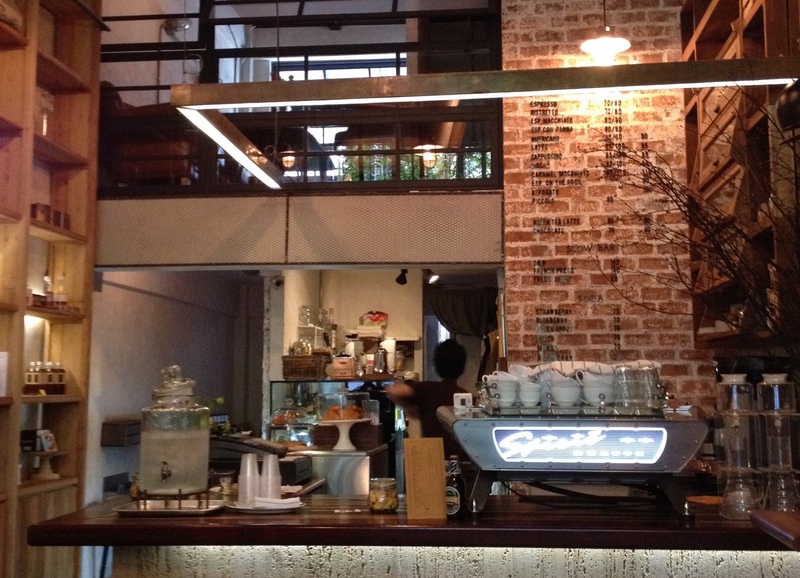 Tawn took me to a cute little place he had been wanting to try, the Sukhumvit Soi 49 branch of Casa Lapin. This chic coffee chain (some might say “hip”) is tucked away behind Paste, a currently trendy restaurant across from Samitivej Hospital. Owned by architect and coffee lover Surapan Tanta, Casa Lapin (“rabbit house”) also has branches on Soi Thong Lor and Soi Ari. The fact that the place is owned by an architect isn’t surprising, as the interior is inviting and thoughtfully designed. 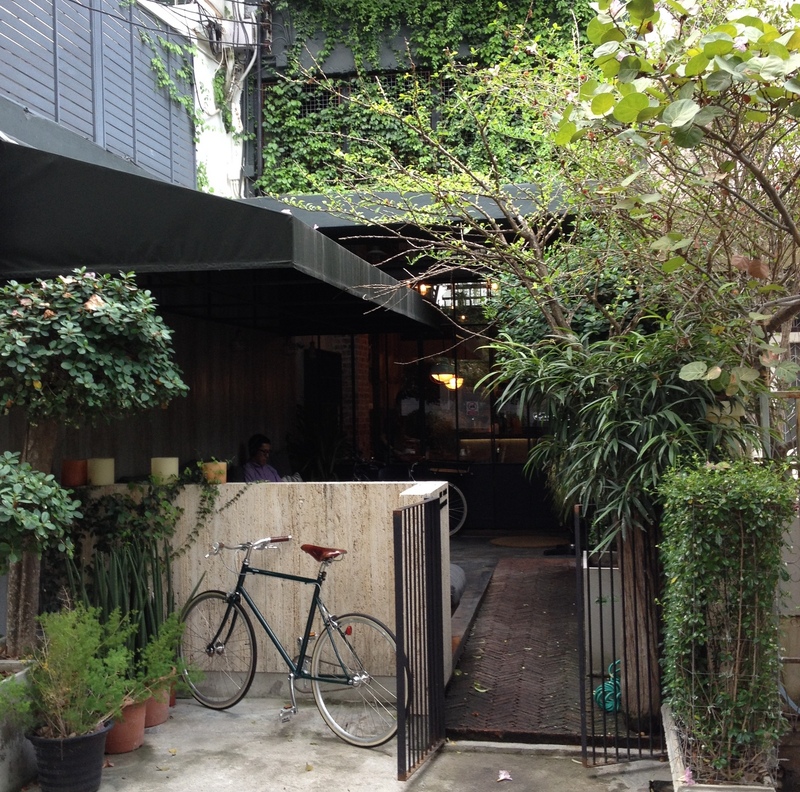 The spacious setting makes effective use of the narrow footprint of the shophouse it occupies. It has a warm feeling that encourages you to hang out. Coffee is offered in a variety of ways – drip, French press, espresso, siphon – and is tasty. A limited selection of foods is available – I had a container of cornflakes with dried fruits and cashew nuts added, kind of a cornflake muesli. The selection of pastries was nice, too, and make for a tasty treat. The ham and cheese roll was flakey and delicate, a great pleasure to eat. 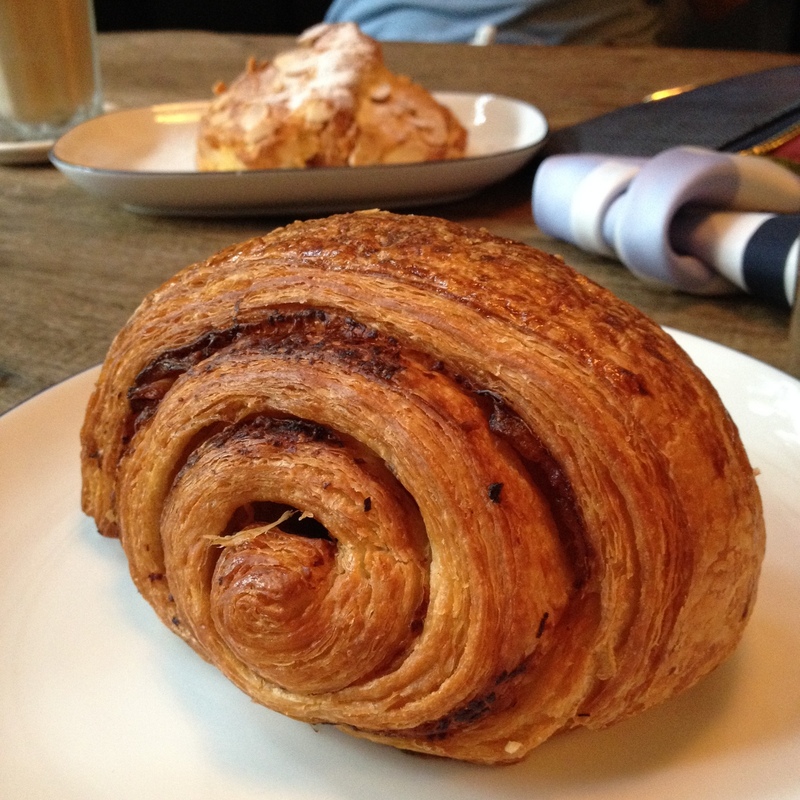 The almond croissant was also nice. While it would be nice if they added some more food selections – quiche and salads, maybe? 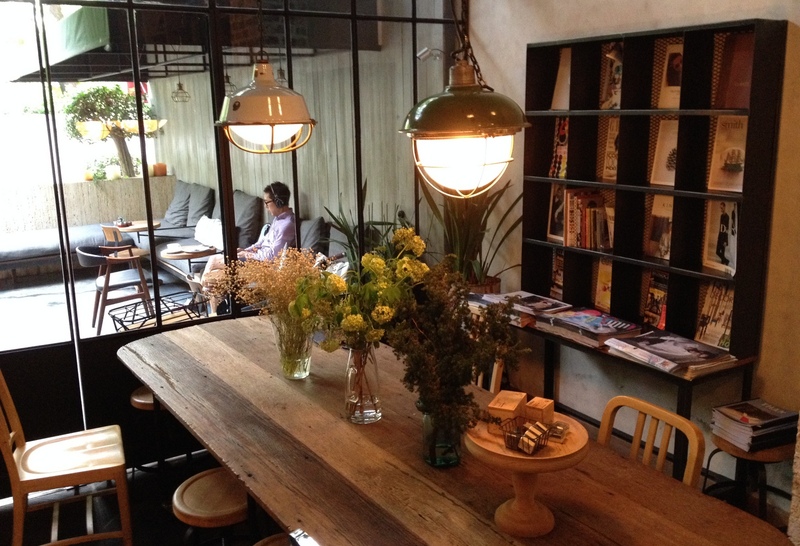 – Casa Lapin x49 is a pleasant place to hang out. 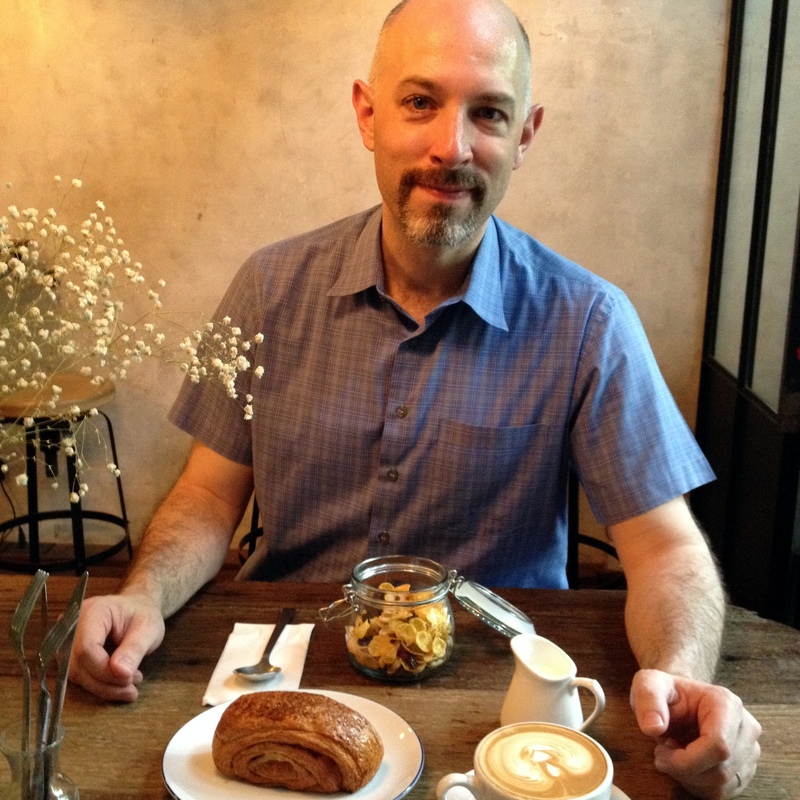 One more sophisticated but affordable brunch option in a city in which such places have long been a rarity. 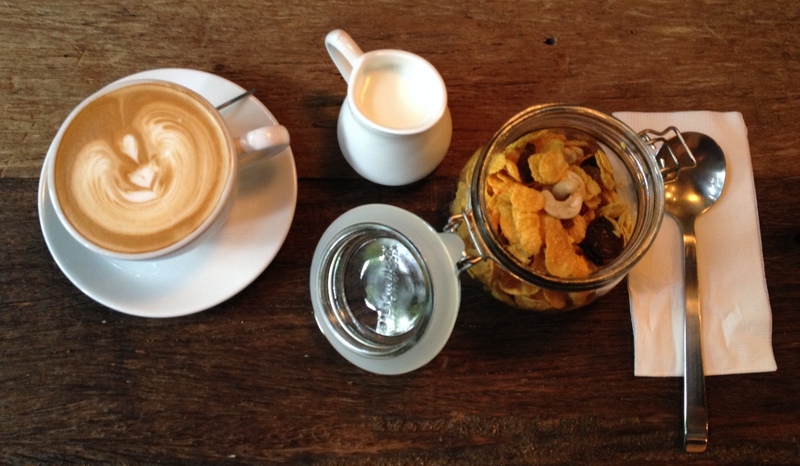 This entry was posted in Food and tagged Bangkok, Brunch, Casa Lapin, Coffee, Sukhumvit, Sukhumvit Soi 49 by christao408. Bookmark the permalink. The interior looks really great. It shows that the owner is an architect. How is food an coffee? Food is just limited to pastries, so good but not spectacular. Coffee was pretty good. That’s great. I often encountered nice looking cafés only to find out that the coffee is absolutely, incredibly horrendous. I’ve had that experience, too! Chris the hipster…. I do like the interior. I’m glad there’s another good place for you guys to hang out. Now you just have to find the time. The hipster. Ha ha… never! “…tucked away behind Past…” Do they not have to advertise their existance. That’s a good question. I guess they rely on word of mouth? Look sleek a really nice place to go and have conversation with friends while having a snack and coffee. Exactly – fun place to hang out.